When you enter into the world of starting a business or becoming a solopreneur, there’s a lot of discussion about the importance of bringing on help and growing a team. In the early stages of freelancing and then quitting my job to start JL&Co, I read about the topic constantly on blogs and heard it talked about over and over again on podcasts. And here’s the thing: I never quite got it. I didn’t understand all the hype around building a team. After all, when I started my business, I considered myself a solopreneur, solo being the key word. However, a few months into running JL&Co completely on my own, I came to an important realization: I was drowning. And I needed help. Stat. Fast forward two years, hiring my team member Rachel has been the single smartest decision I’ve made as a business owner. 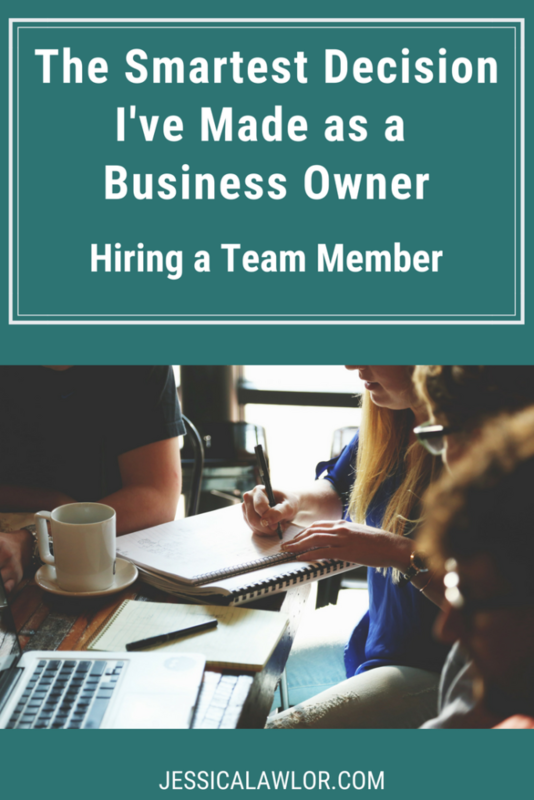 If you’re a solopreneur considering bringing on help, here’s when I knew it was the right time to grow my team, how I decided who to hire and why this has been the absolute best decision I’ve made for JL&Co. At the time, working with The Write Life would mean bringing on my biggest client to date. It would require a significant amount of my time and energy to manage a highly-popular blog that published content five days per week. That was when I knew it was the right time to bring on a team member. One of the reasons so many business owners, myself included, struggle with whether or not to grow their teams is because hiring and find a person who’s the right fit can be a stressful and time-consuming process. I was nervous to navigate the financial/legal aspects of bringing someone on board. Naturally, I worried about money. What if I had a bad month? Would I be able to pay this person? Would I lose income by paying someone else? Obviously, hiring help is supposed to free up your time, but I initially struggled with the idea of “managing” someone. Would it be too much work at a time I was already super busy? Would it take me away from my client to-dos? As I mentioned above, I resisted making a hiring decision because I thought it would be too difficult. But after some simple research, and chatting with trusted friends and mentors, I realized it really wouldn’t be so complicated after all. First, you need to decide what type of team member you’re hiring. As a small business, I decided to avoid going the “employee” route for now — at the time, I was nowhere near financially ready to bring on a full-time team member. Instead, I chose to hire an “independent contractor” meaning my team member works when/where she wants, can work for multiple companies or clients, doesn’t receive benefits, and pays taxes on the profits she earns via a 1099. *By the way, I highly recommend speaking to an accountant or financial advisor to make the best decision for you and your business. I want to make something very clear: When I set out to hire a team member, I was not looking for an assistant. In my mind, there’s a very distinct difference between an assistant and what I consider a team member. An assistant can help with tasks like managing inboxes/calendars, scheduling, responding to emails, laying out blog posts, etc. They don’t necessarily have to have in-depth knowledge or experience in the field you work in. Assistants are amazing (and I’d LOVE to have a full-fledged assistant one day), but what I was looking for in a team member was someone with expertise in the type of work I do. Someone I could hand over actual client work to and expect that it would be completed in the same manner I’d do it myself. Someone who could bring new ideas to the table and help me grow my business. Luckily, when it came time to make a hiring decision, I already had someone perfect in mind. I vividly remember texting Rachel immediately after that conversation with my sister and asking her to come on board as my very first team member. She responded enthusiastically, and the rest is history. Obviously, this was a bit of an unconventional way to make a hiring decision, but I truly believe Rachel was able to hit the ground running because we already had a great working dynamic, and she was familiar with the type of work JL&Co does. When I hire more team members in the future, I’ll likely look to my network first (I’ve been keeping a running list of people who have skills I’m looking for and have expressed interest in working together), but would also consider writing up a more formal “job description” and putting it out to my email list and social media community. Despite my natural hesitations, bringing on a team member was 100% the right choice, and I’m so glad I brought Rachel on when I did. Here’s how Rachel is helping JL&Co grow and thrive far beyond what I could do on my own. Bringing Rachel on board has given me back SO much time in my day. There are some parts of our client work that I literally haven’t done in more than a year, because it’s just now a part of Rachel’s weekly to-dos. It feels so freeing to know that these tasks are still getting done (and getting done well!) giving me more time to focus on other areas of the business. Hire people who are smarter than you — seriously! Rachel is a super savvy marketing/communications professional, and she knows more about various subject areas (SEO, email marketing, analytics) than I do. Because of her expertise, we’re able to bring on clients I might not feel 100% comfortable bringing on by myself. Similarly, Rachel worked at an agency before (which I never had before starting my own), so she has a lot of experience with writing proposals, determining pricing and negotiation. She has been an absolute lifesaver when it comes to prospecting and proposals! One of the most difficult parts of running a small business is feeling alone. When I’m faced with a difficult client situation or a new business decision, I have Rachel to lean on as a sounding board. Rachel is often able to bring more rational opinions to the table because she’s naturally not as emotionally invested in JL&Co as I am. Plus, don’t we all need someone to vent to when things are going badly or to excitedly text when something awesome happens? Rachel has become that person for me. As a true solo practitioner, I only have so many hours in the day to dedicate to work. There’s a definite cap on the amount of work I can do, and the number of clients I can bring on. With Rachel, my capacity doesn’t necessarily double (since she isn’t full-time), but it certainly helps add to the given hours in a week, and the number of clients we can bring on together. Because of Rachel, I’ve been able to bring on several new clients, while still nurturing my blog, speaking gigs and teaching at Temple. As for what’s next, I’m not quite sure. I’m at a bit of a crossroads where I can choose to keep my business on the smaller side with the two of us hard at work, or I can choose to expand and grow further. More and more, I’ve been presented with larger opportunities that may require me to bring on new team members in the very near future. 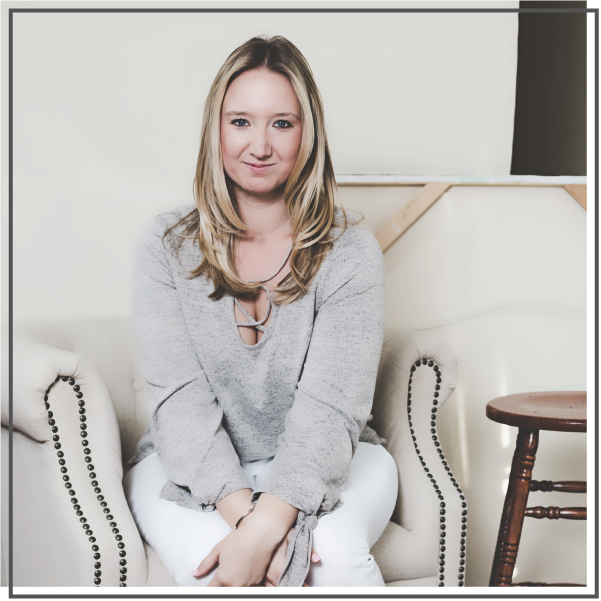 What I do know though is that having Rachel on board has helped me in so many ways, but most importantly, it has kept me sane — and continually keeps me excited and passionate about growing my business. So while this is basically a love letter to my amazing team member, if you’re a stressed out solopreneur, I hope it inspires you to consider finding your own Rachel. You, and your business, will be better for it. Have any questions about bringing on a team member? I’d love to answer them in the comments below.